Project funded by the Research Council of Norway (grant 262941). The surrounding of the sun, called the heliosphere, is filled with the solar wind, a stream of electrons and ions that carries a magnetic field. 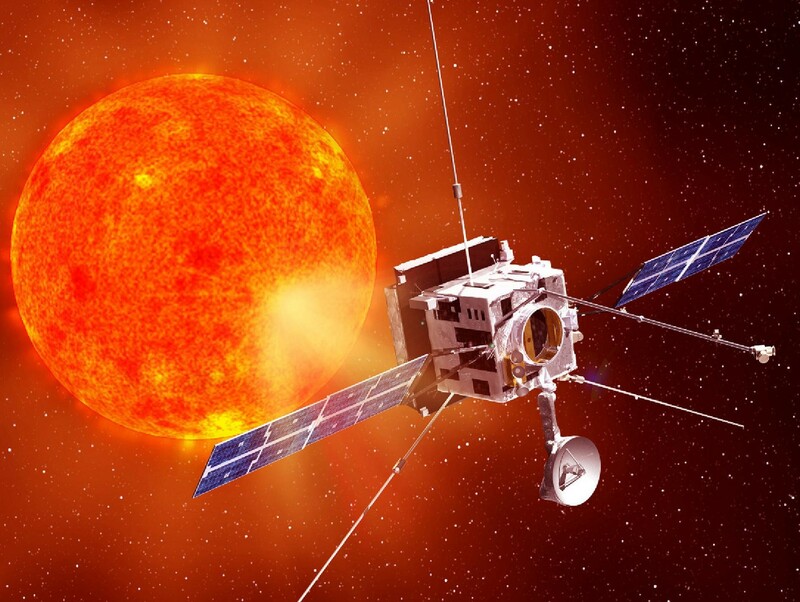 The ESA mission Solar Orbiter that will be launched in 2018, will orbit the sun for more than seven years. It carries instruments to measure the particles and fields of the solar wind in a region ranging from Earth orbit to distances that are closer to the sun than the closest planet, Mercury. The sun is also surrounded by cosmic dust particles that are fragments from asteroids and comets. When dust particles impact the Solar Orbiter, this generates electrons and ions and influences the electric potential of the spacecraft. In this project, we will study how dust impacts influence the vicinity of the spacecraft and how the impacts can be observed in the measurements made with antennas on-board the spacecraft. We will also consider the impact process for the NASA space mission Solar Probe Plus that carries a similar antenna experiment. To carry out this research, we will simulate the impact process in the space simulation laboratory at UiT. Our work will prepare for data analysis with the goal to derive dust fluxes from the Solar Orbiter observations along its orbit. The expected outcome of the project is to better understand how cosmic dust interacts with the solar wind close to the sun, how dust impacts influence the measurements on-board Solar Orbiter, and to derive the dust fluxes from Solar Orbiter observations in order to better estimate the flux of small sub-micrometer-sized dust into Earth’s atmosphere. What is the influence of cosmic dust on the solar wind in the inner heliosphere and on the in-situ measurements of the solar wind? What are the cosmic dust fluxes in the heliosphere between the solar corona and 1 AU and what is the flux of dust into Earth atmosphere? Our primary objective is to study the fluxes and interactions of cosmic dust in the inner heliosphere. Dust number densities are largest in the vicinity of the Sun. Small particles of sizes micrometer and smaller are produced by dust collisions and pushed away from the Sun by radiation pressure and electromagnetic forces. The ESA mission Solar Orbiter that will explore the inner heliosphere carries a radio and plasma waves experiment (RPW) that responds to dust particles impacting the spacecraft. Based on model calculations, supporting simulations, and comparison to observations with similar instruments we will study first measurements with RPW to derive dust fluxes from the data. The measured dust particles contribute to dust flux onto Earth. Our secondary objective is to derive from the data the dust flux onto Earth where impacting dust influences processes in the upper atmosphere. We aim to establish a link from RPW observations to larger dust detected by radar meteor observations.